Physiologically equivalent temperature (PET) is a thermal index that is widely used in the field of human biometeorology and urban bioclimate. However, it has several limitations, including its poor ability to predict thermo-physiological parameters and its weak response to both clothing insulation and humid conditions. A modified PET (mPET) was therefore developed to address these shortcomings. 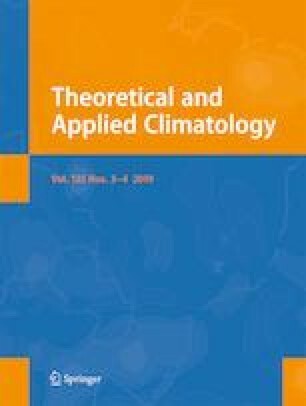 To determine whether the application of mPET in hot-humid regions is more appropriate than the PET, an analysis of a thermal comfort survey database, containing 2071 questionnaires collected from participants in hot-humid Taiwan, was conducted. The results indicate that the thermal comfort range is similar (26–30 °C) when the mPET and PET are applied as thermal indices to the database. The sensitivity test for vapor pressure and clothing insulation also show that the mPET responds well to the behavior and perceptions of local people in a subtropical climate.